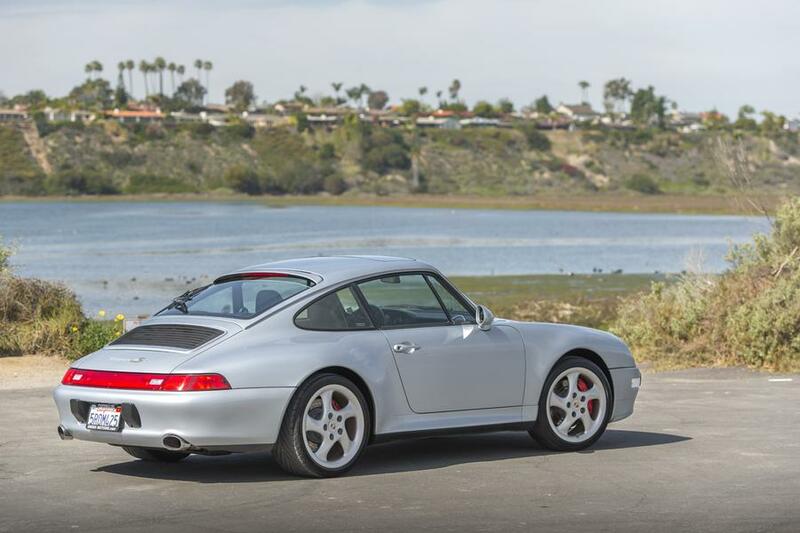 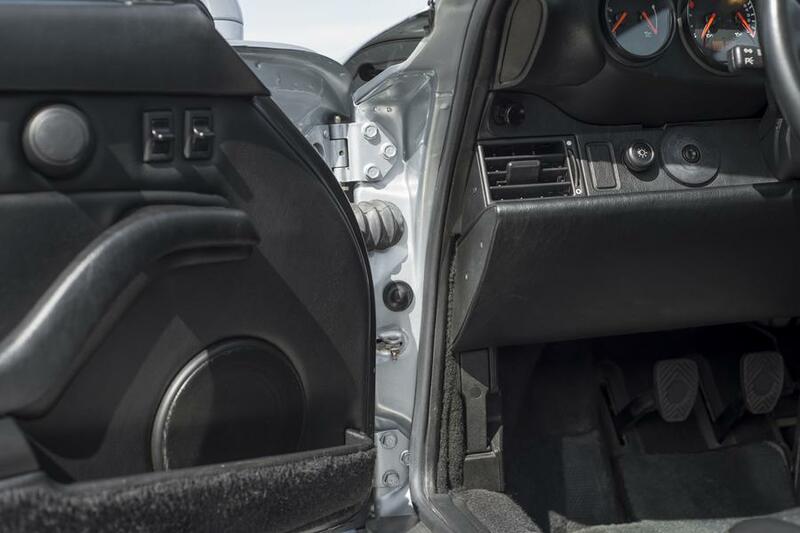 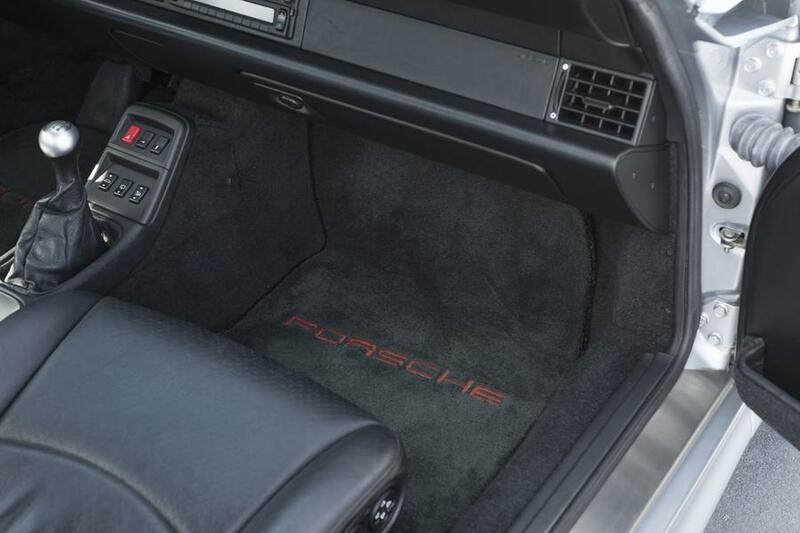 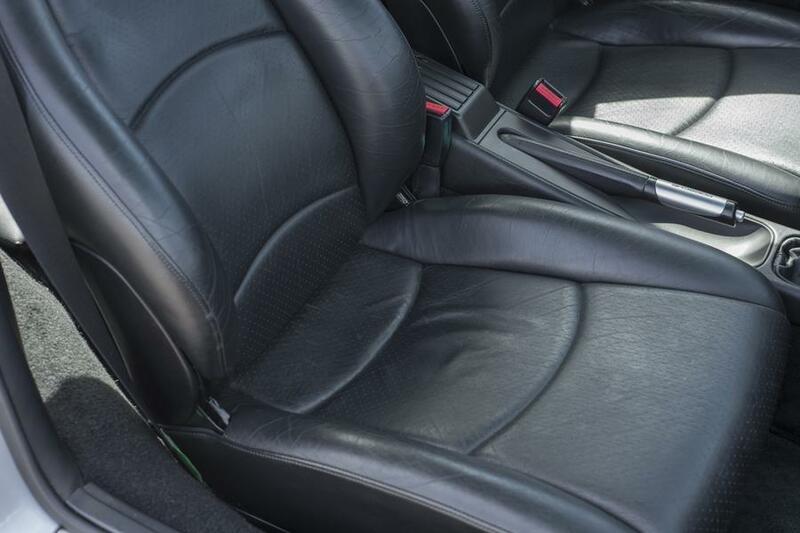 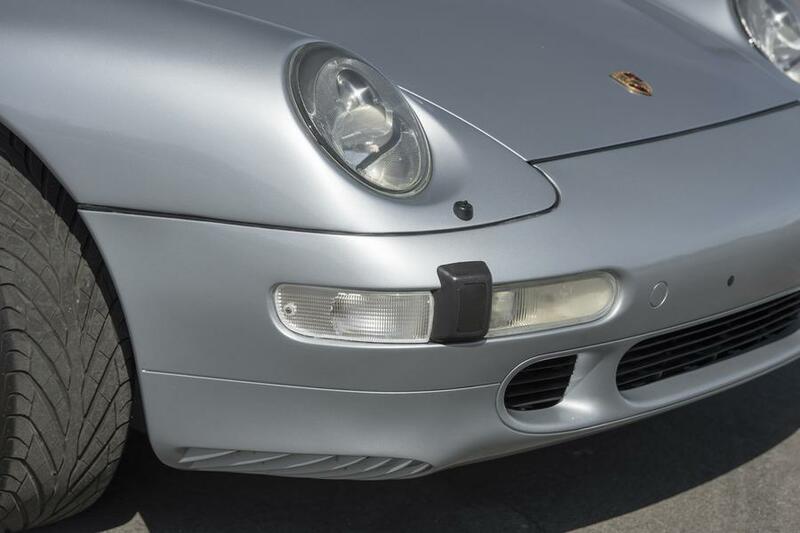 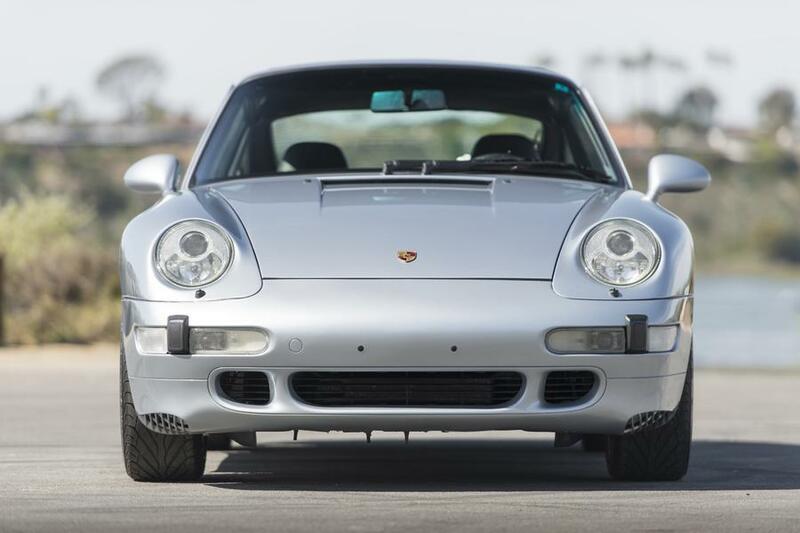 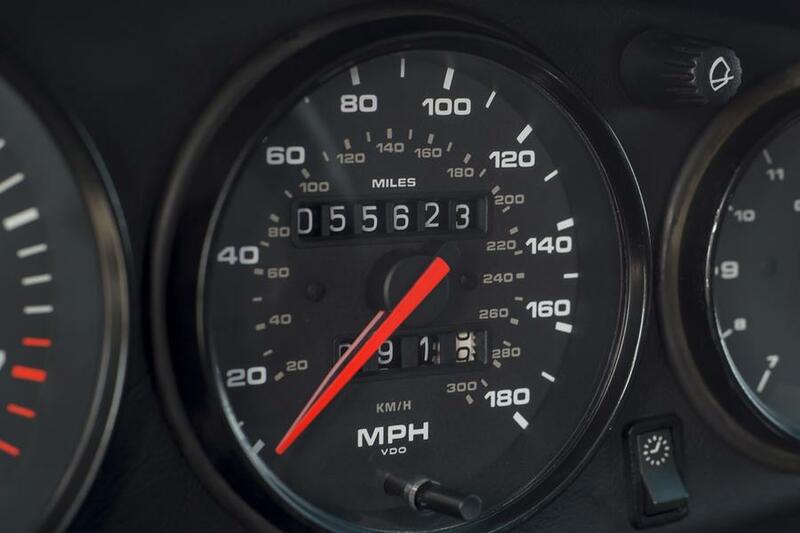 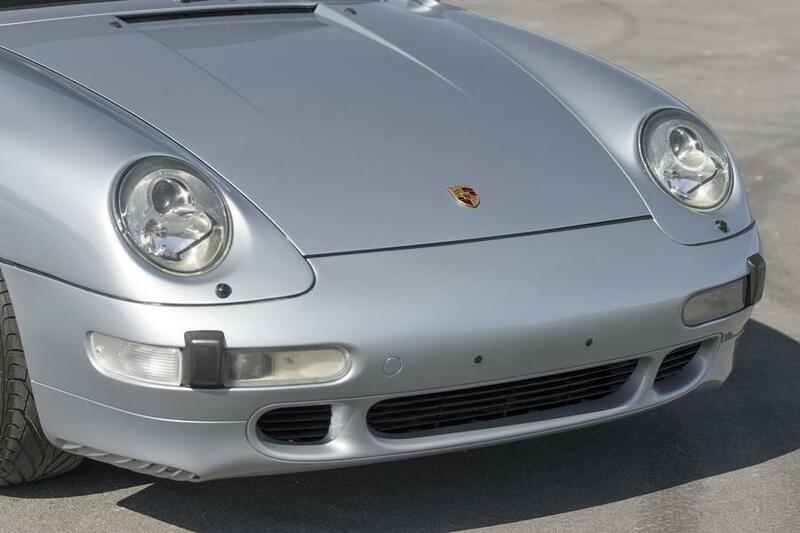 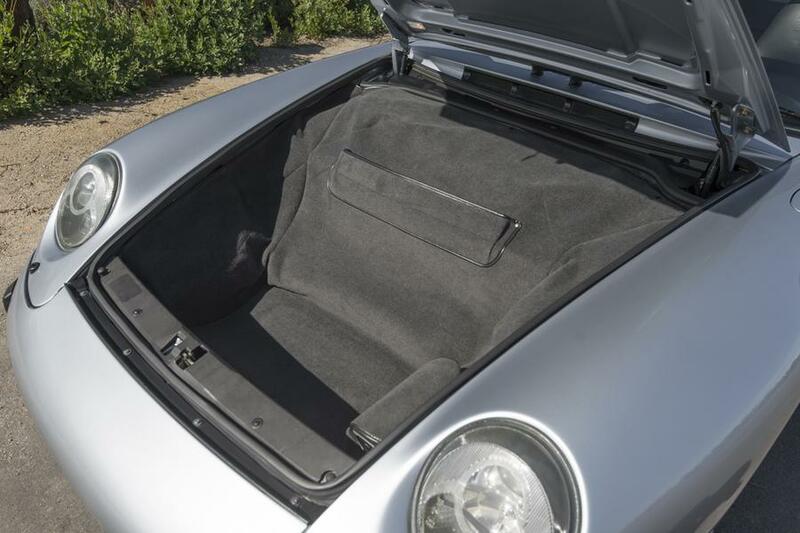 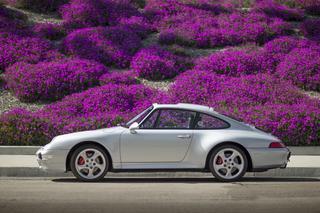 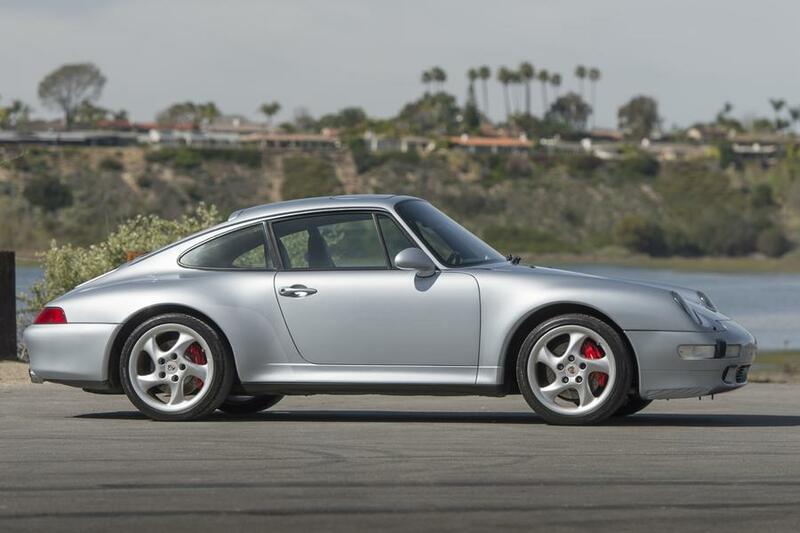 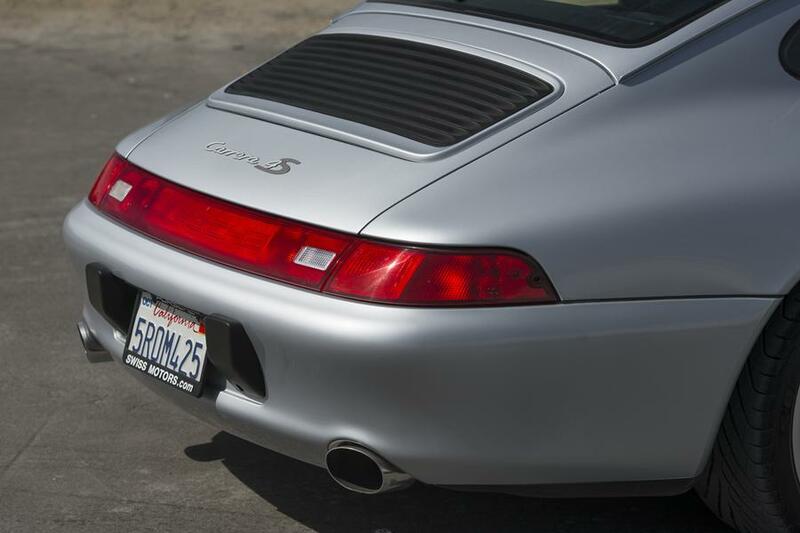 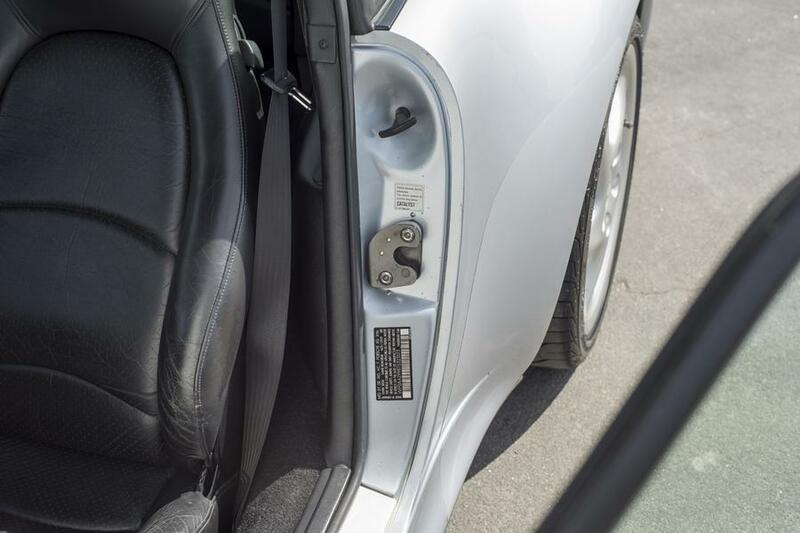 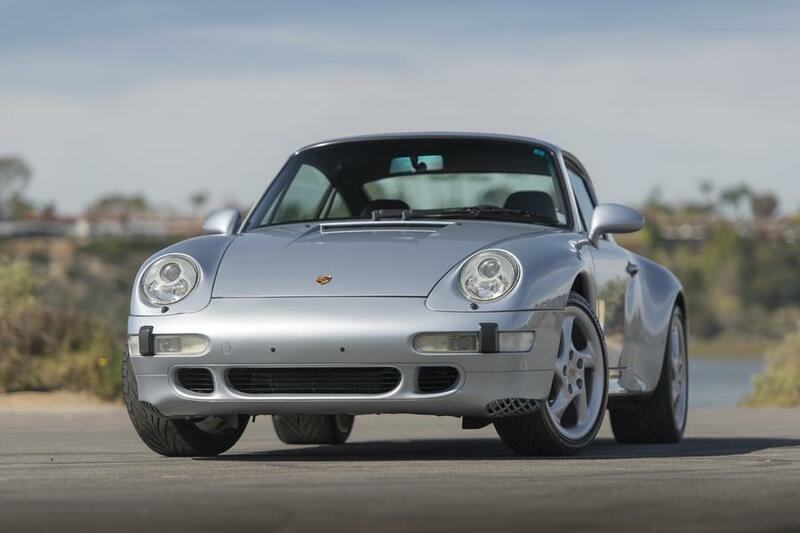 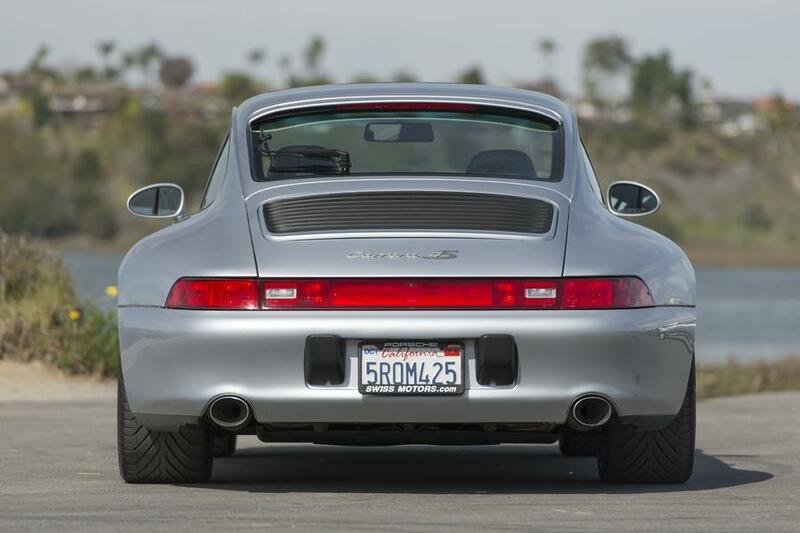 We have recently acquired a low mileage (55,500 mi) 1996 Carrera 4S in Polar Silver Metallic with black interior. 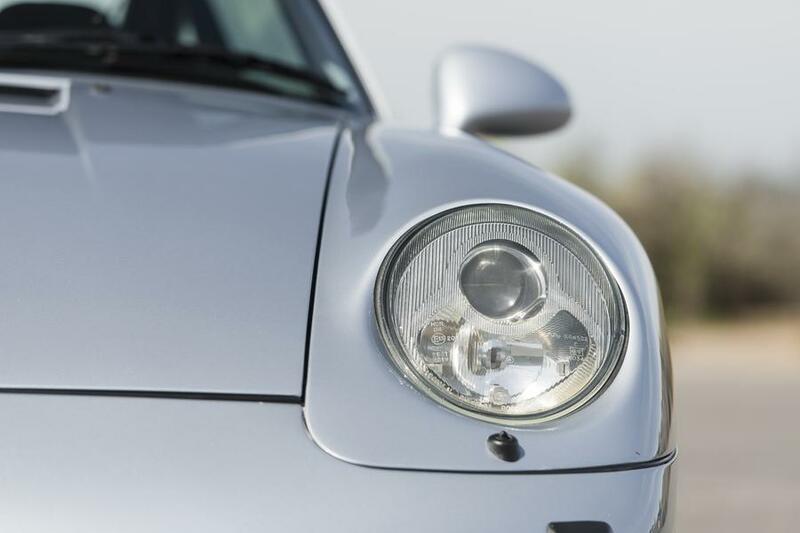 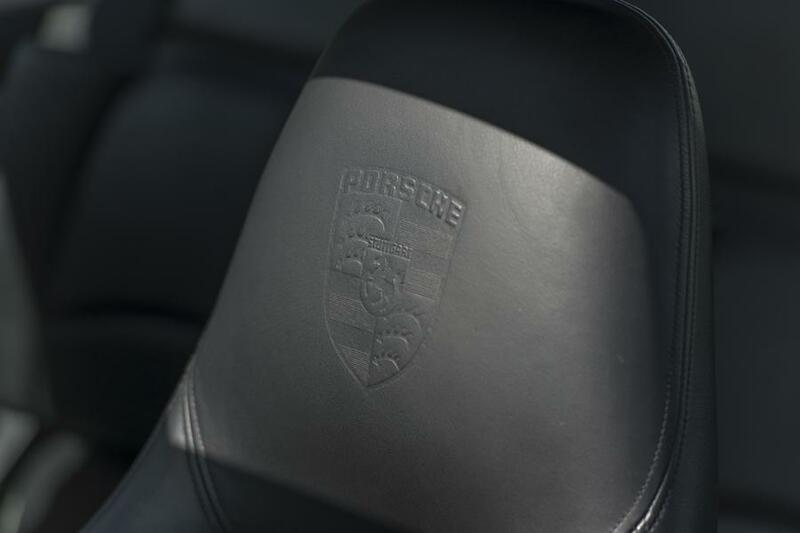 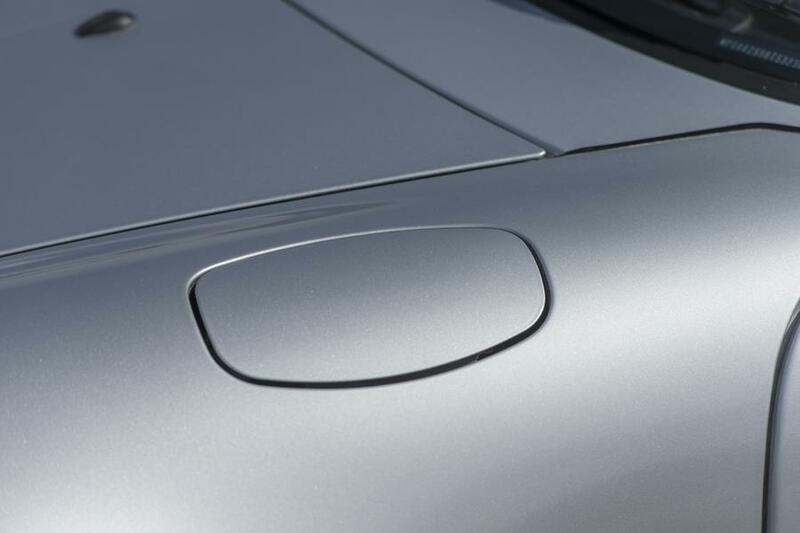 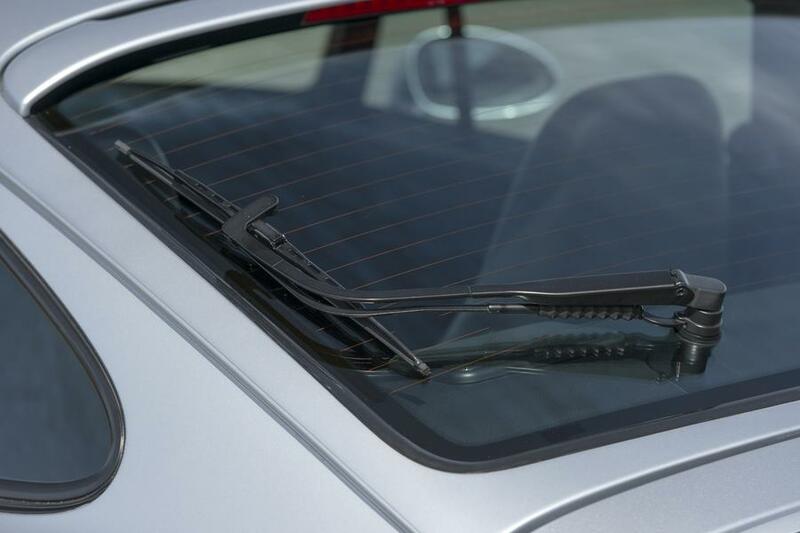 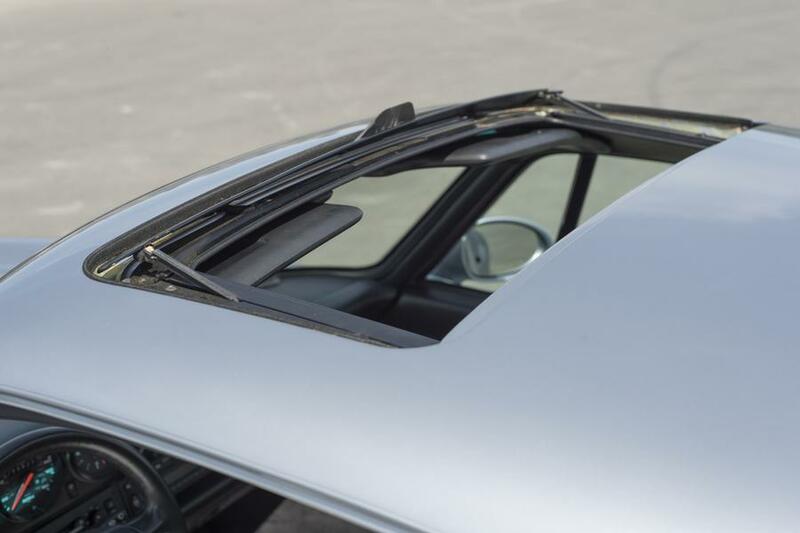 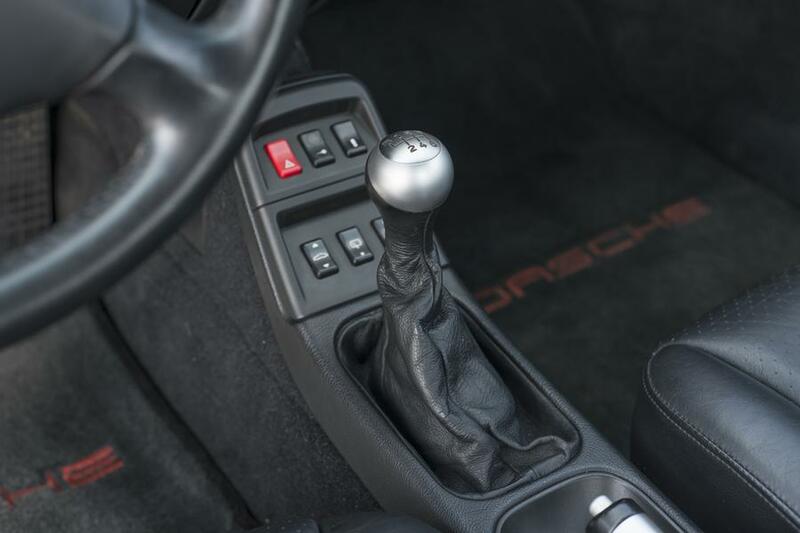 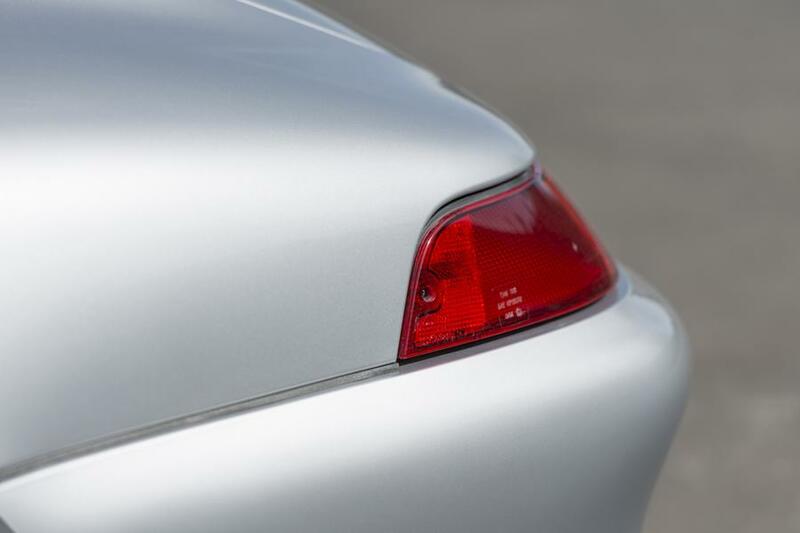 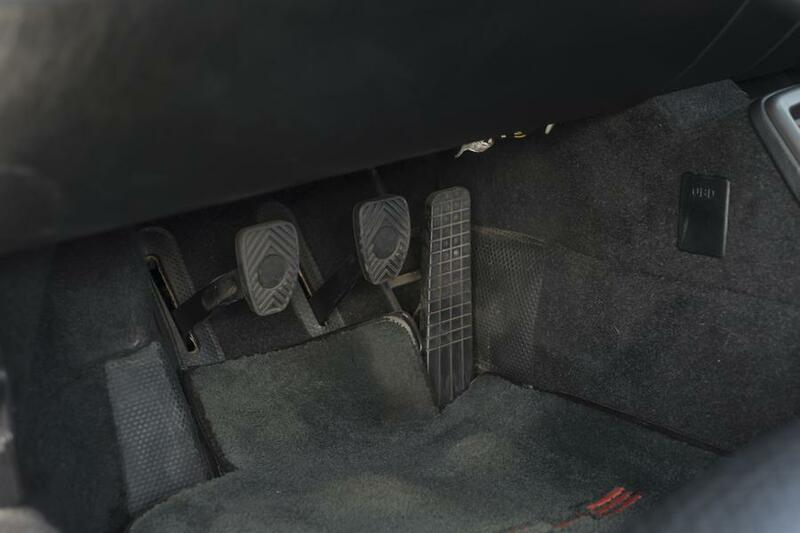 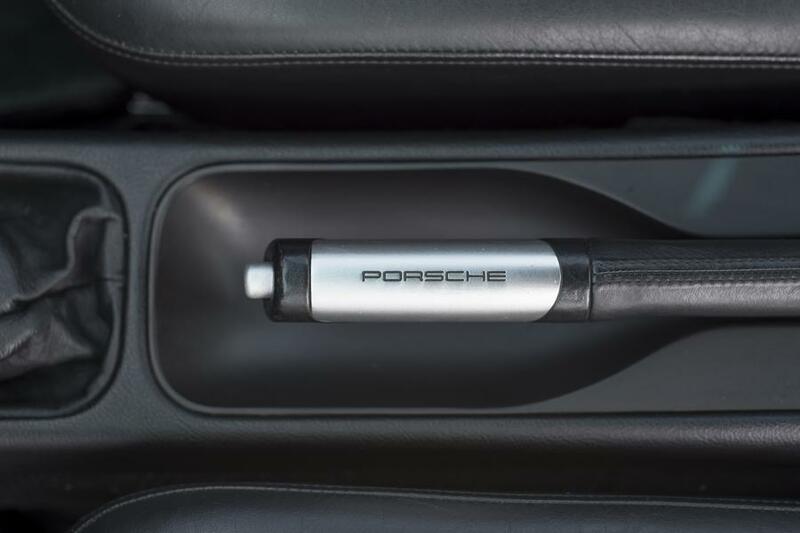 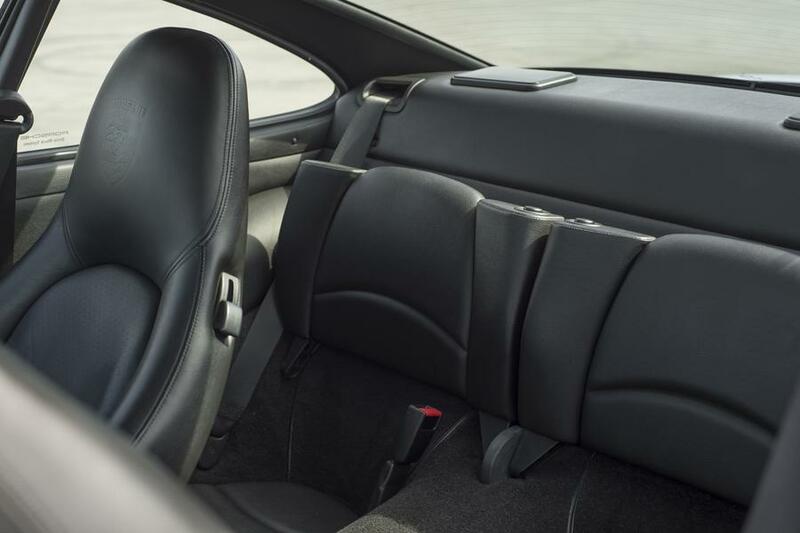 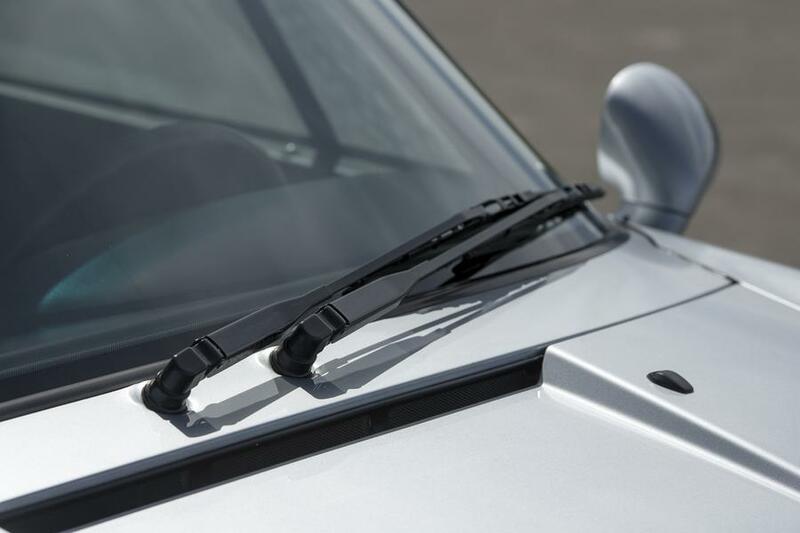 Porsche debuted the new 911 Carrera Coupe in 1994 and by 1996 the Carrera 4S was rolling off the production line. 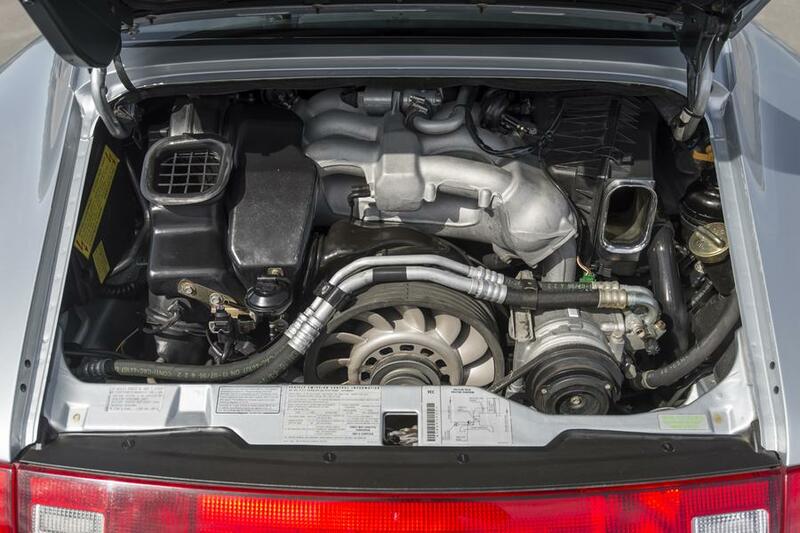 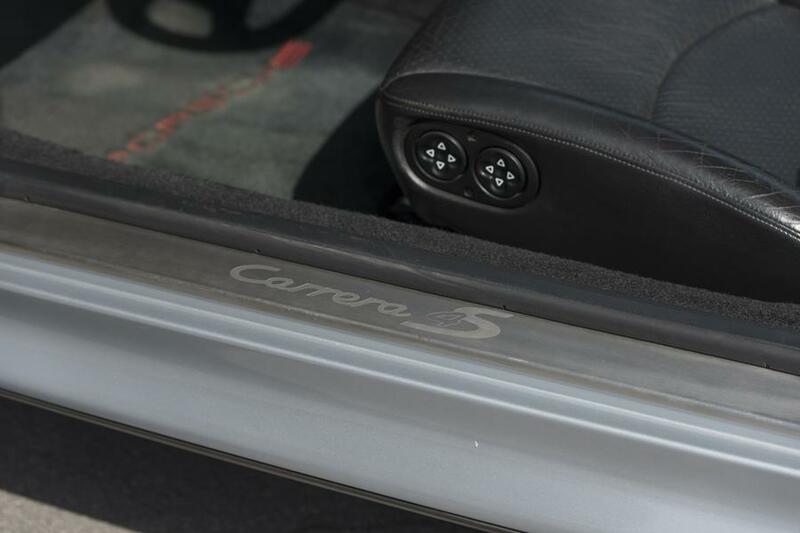 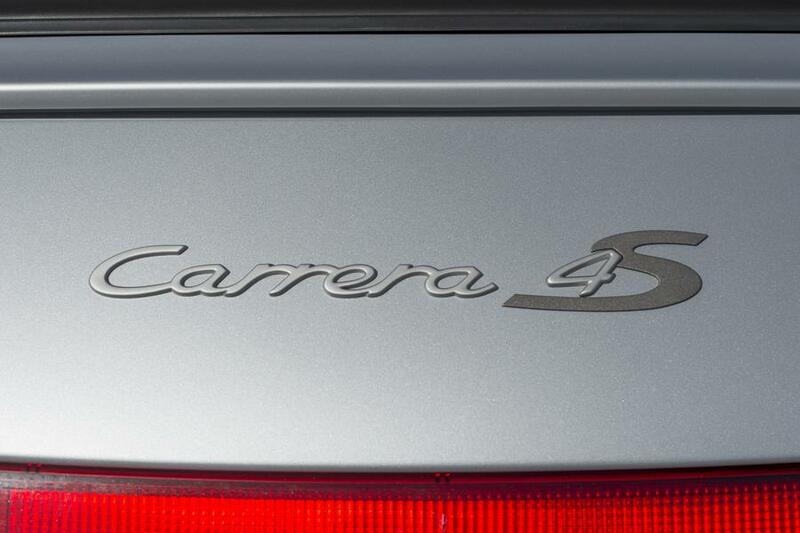 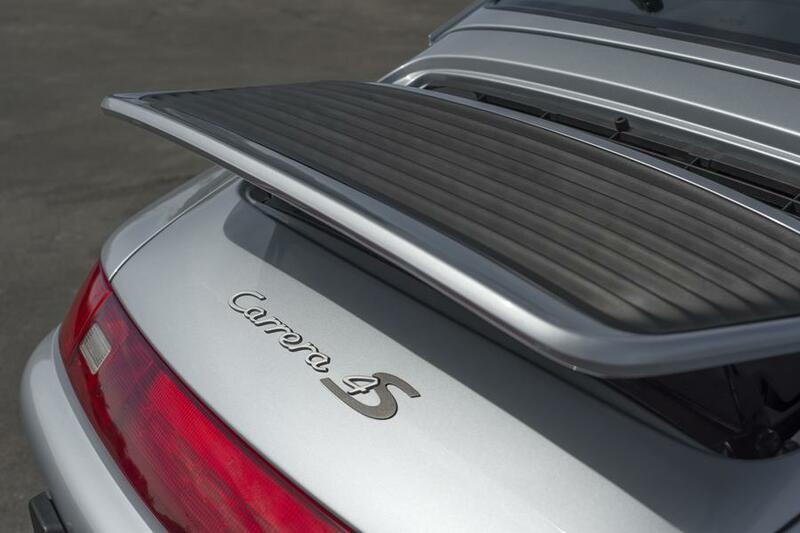 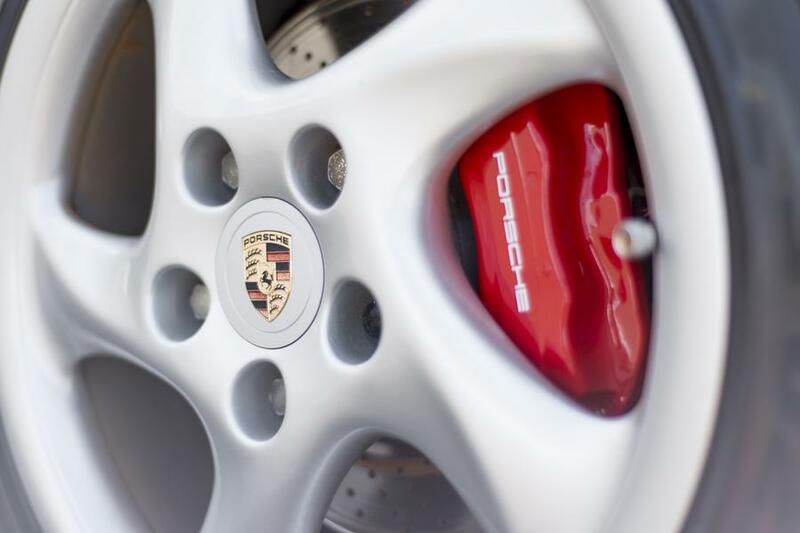 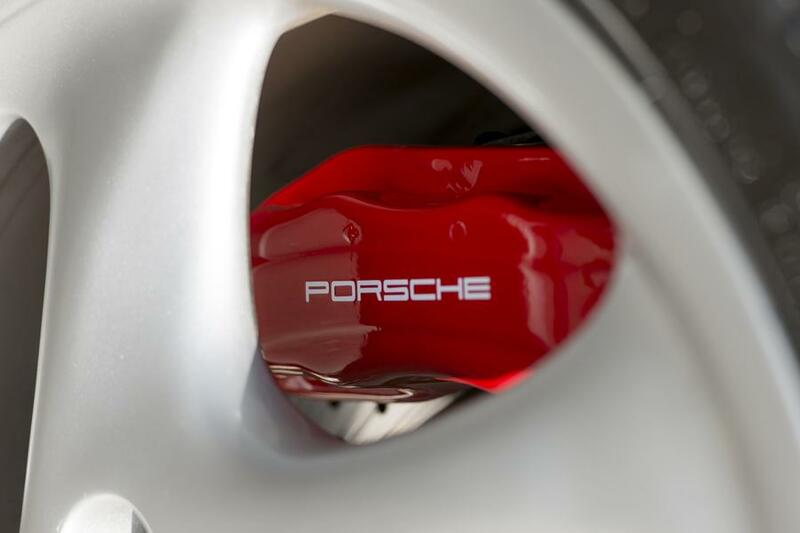 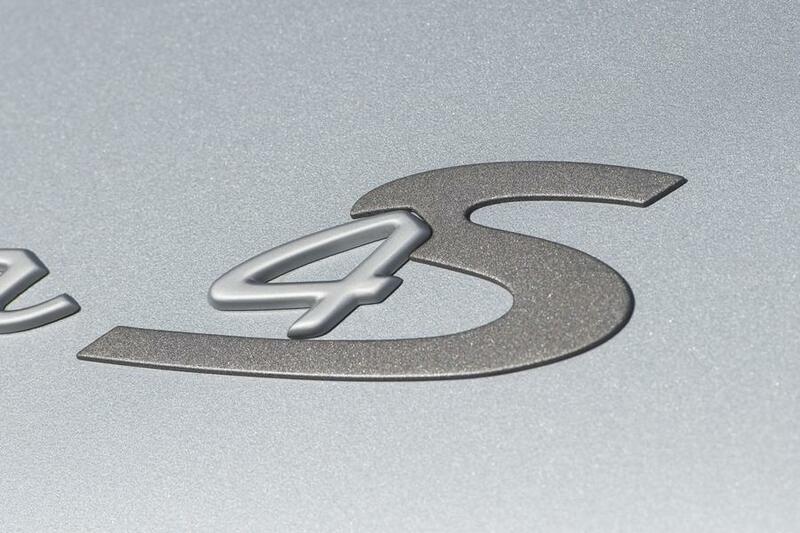 The Carrera 4S introduced the concept of combining 4-wheel drive with the Turbo’s chassis and wider body. 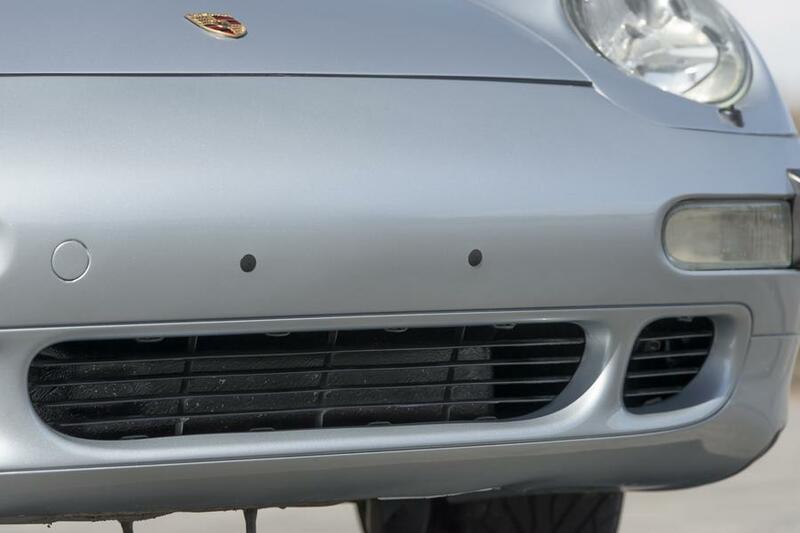 Per the Certificate of Authenticity, this particular car was outfitted with an extensive list of factory installed options, including: Motor Sound Package, Rear Window Wiper, 4 Rim Caps w/Porsche Crest, 6-disc Remote CD Changer, US Standard Emissions, Porsche Floor Mats Black, AM/FM Radio w/cassette Player, Power Seat Package, Stainless Steel Exhaust Pipes, Metal Door Sill Model Insignia, Aluminum/Leather Shifter/Brake Handle, Head Restraint w/Porsche Crest and Bridgestone Tires. 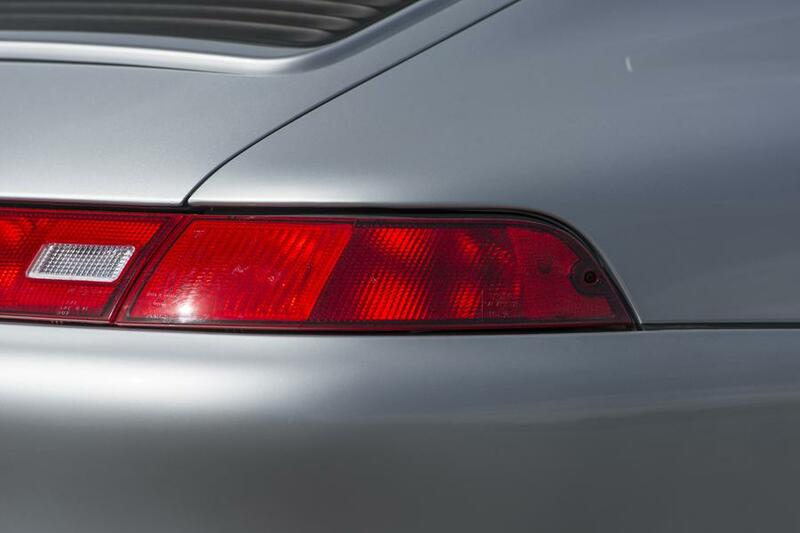 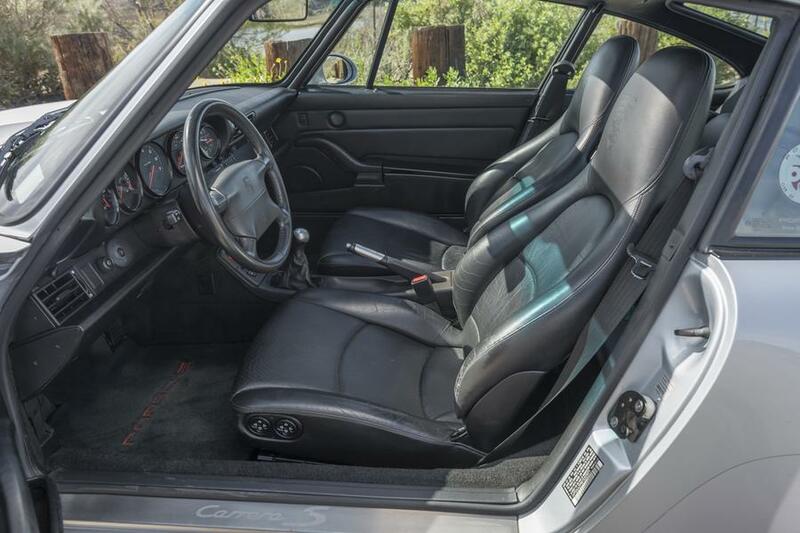 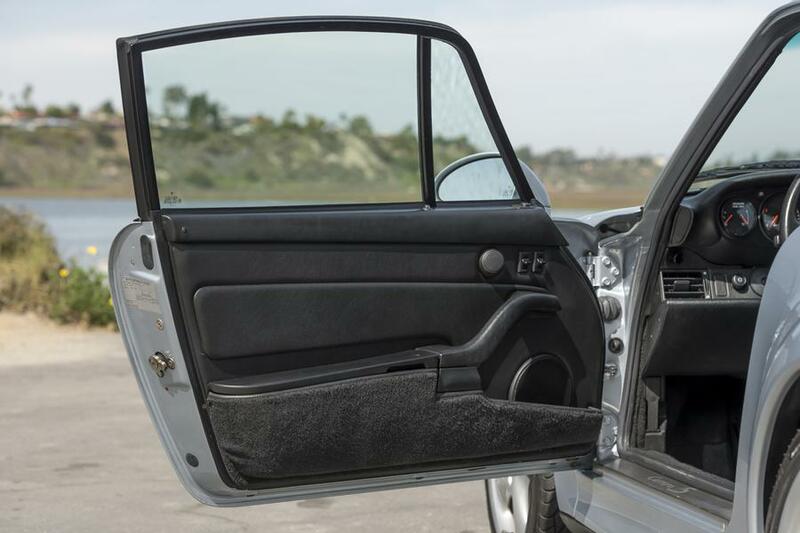 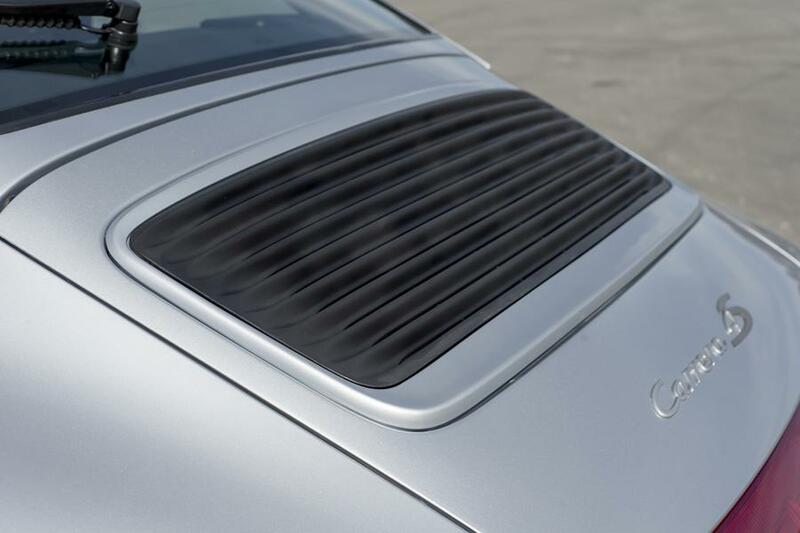 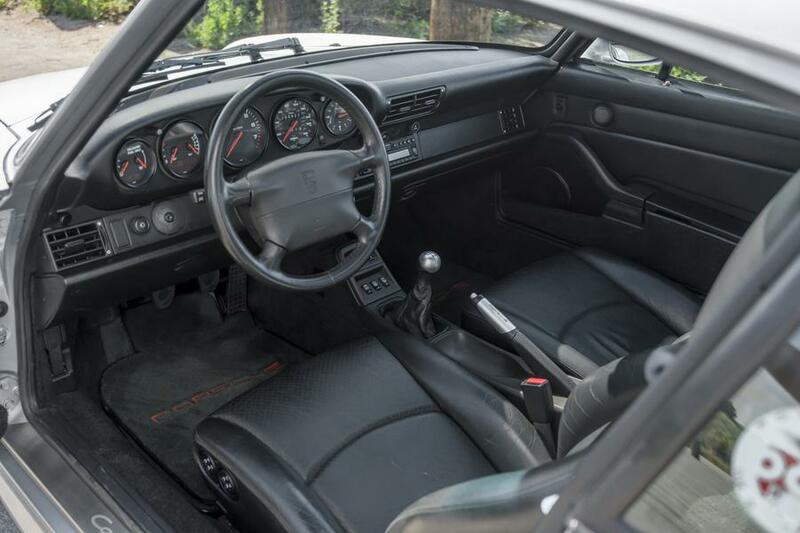 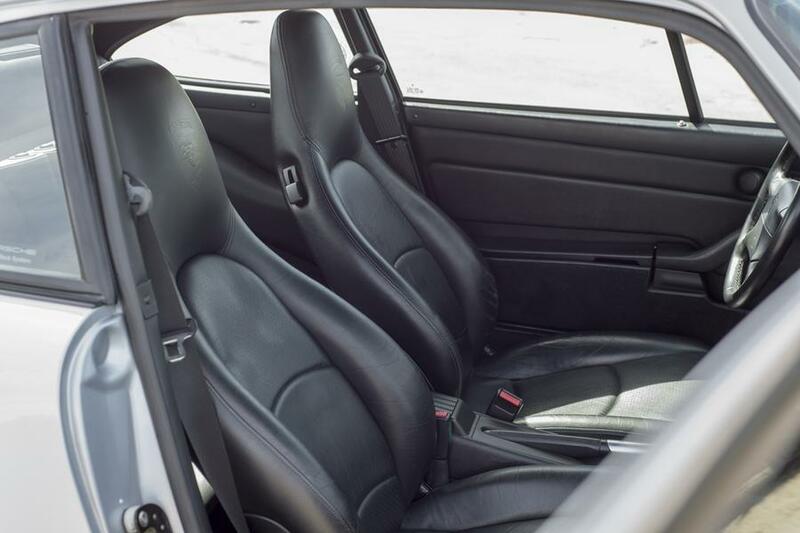 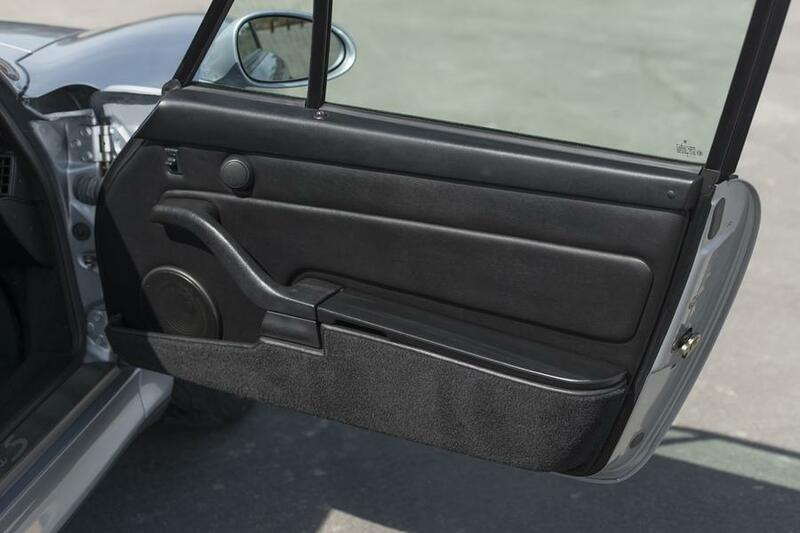 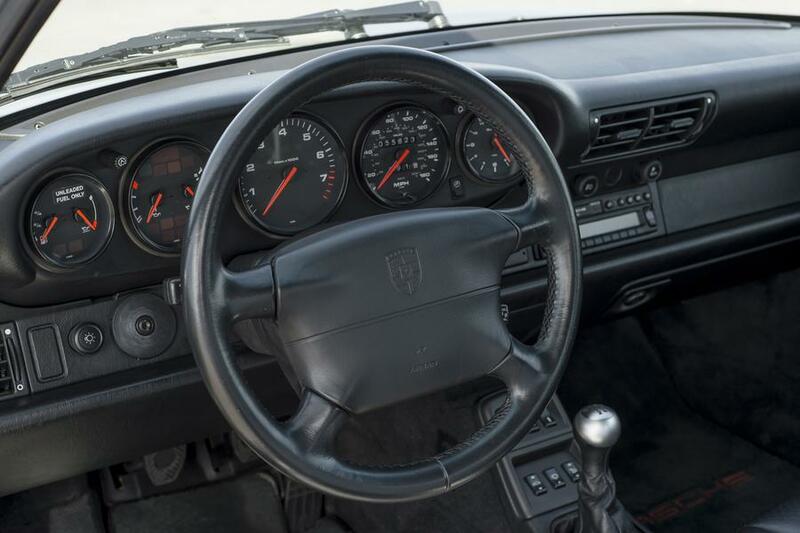 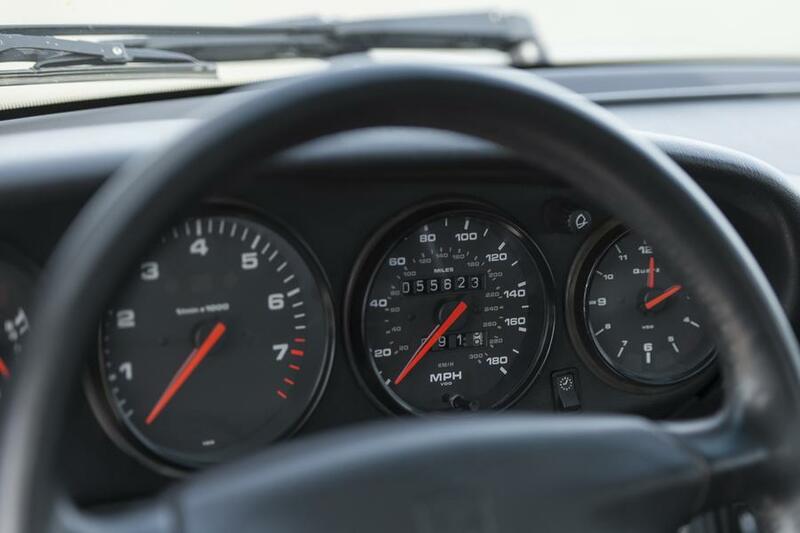 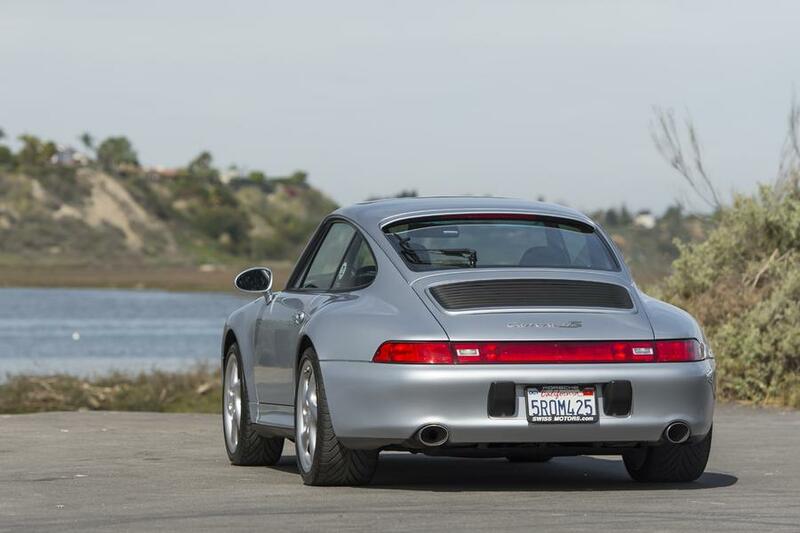 The 993 was the last air-cooled Porsche, making it a very desirable model. 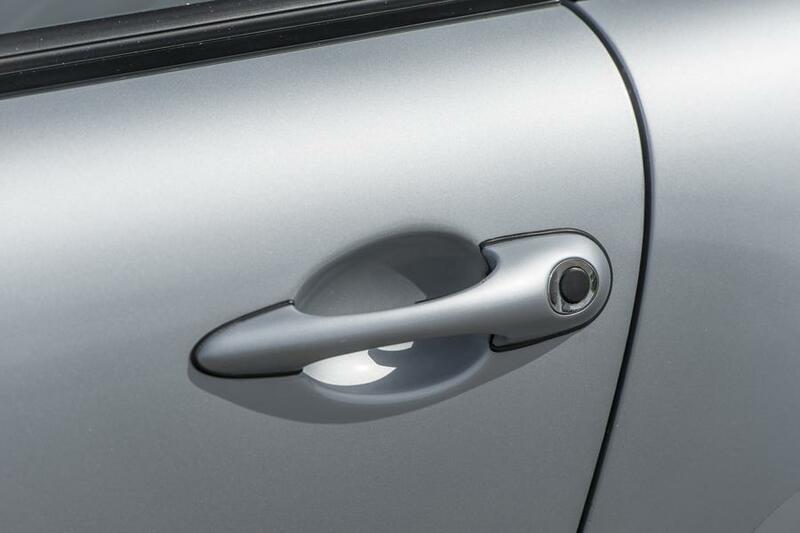 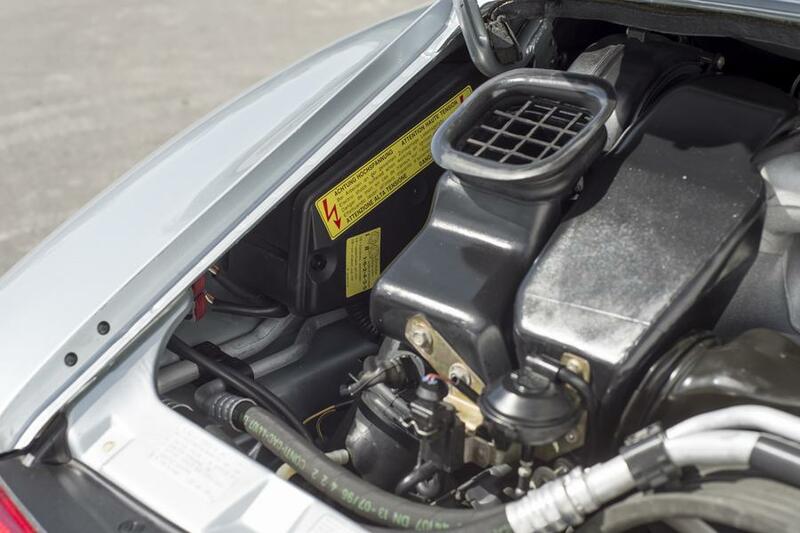 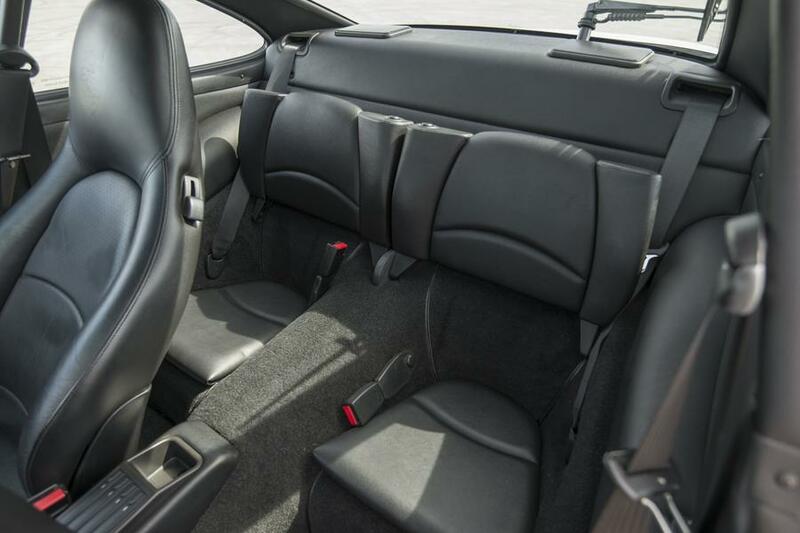 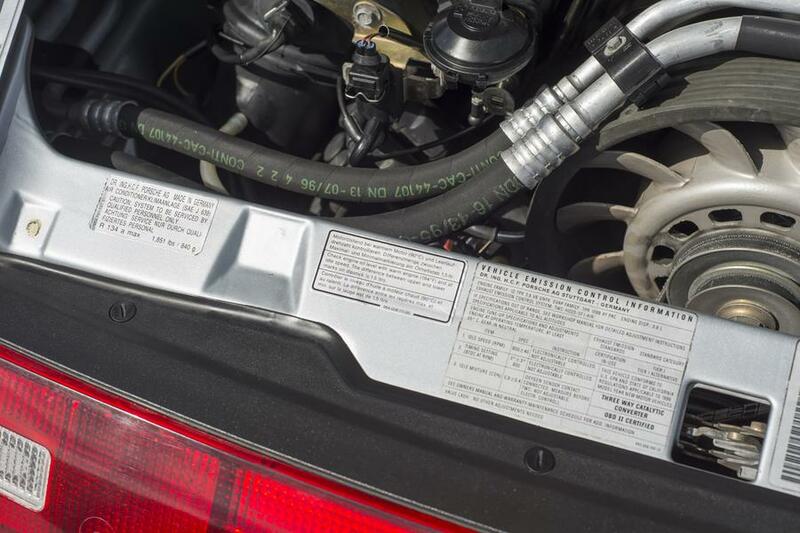 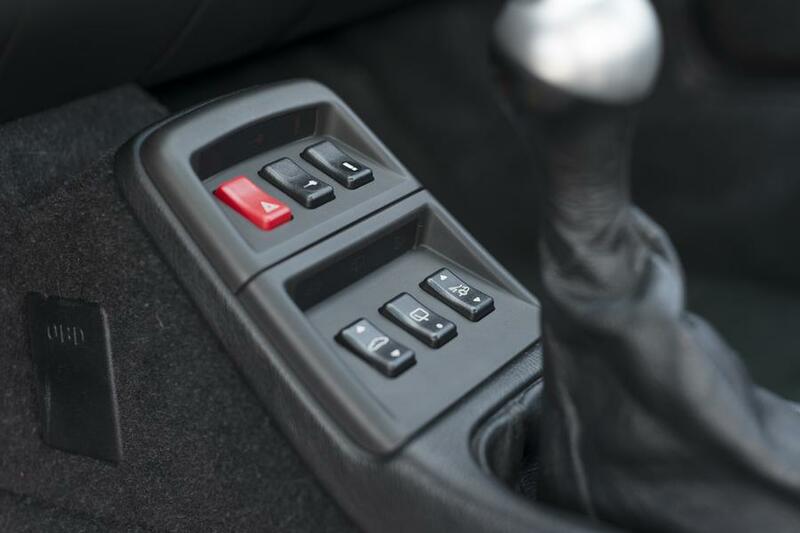 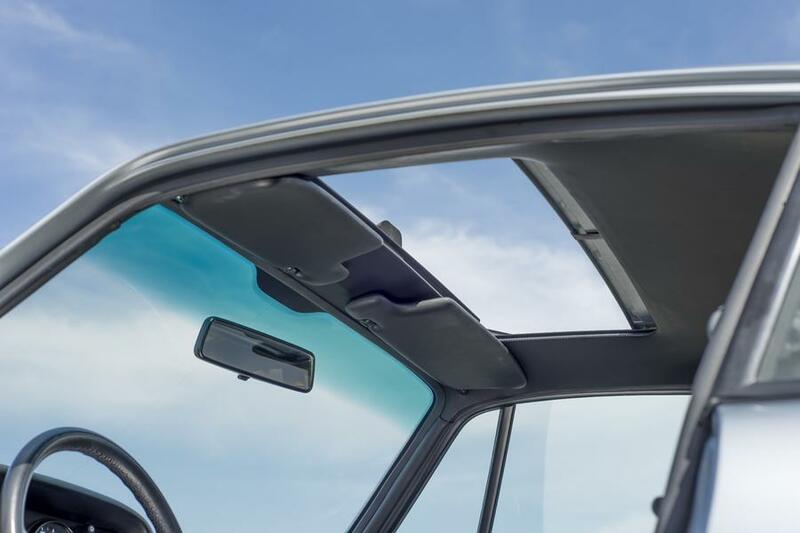 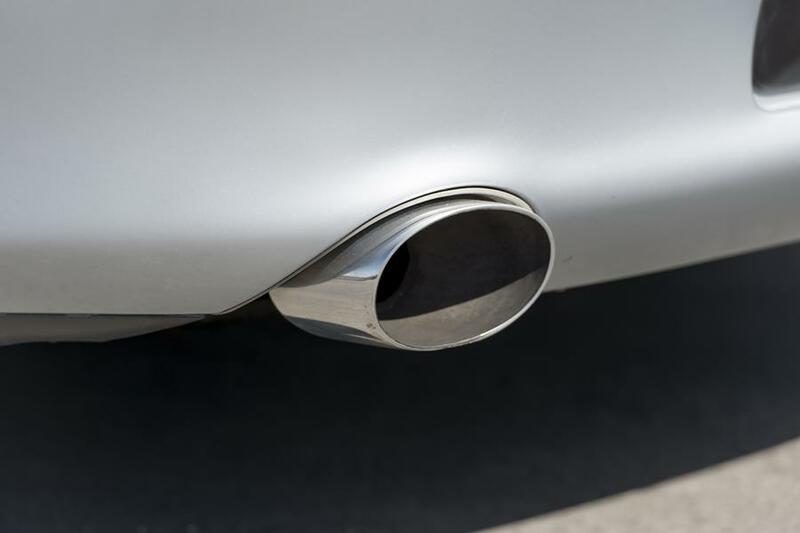 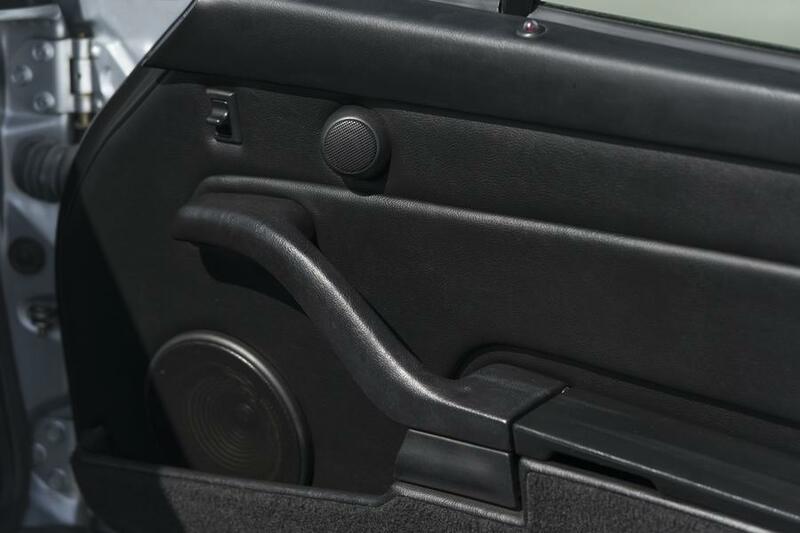 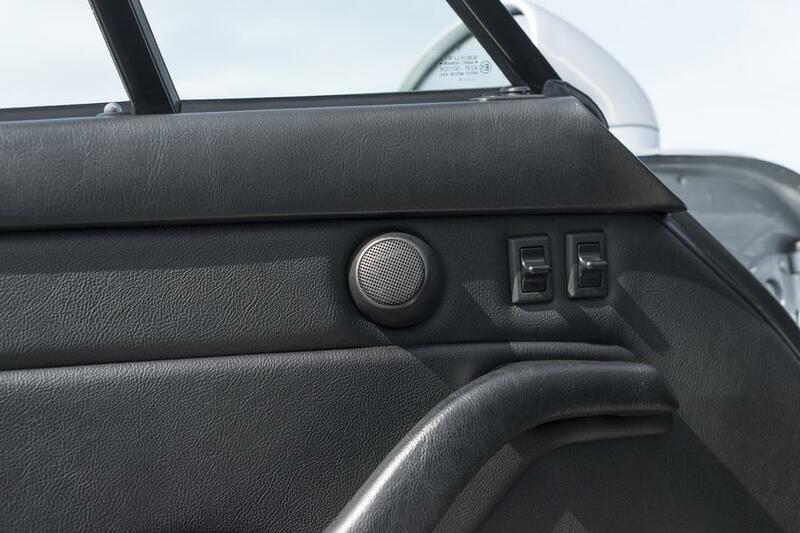 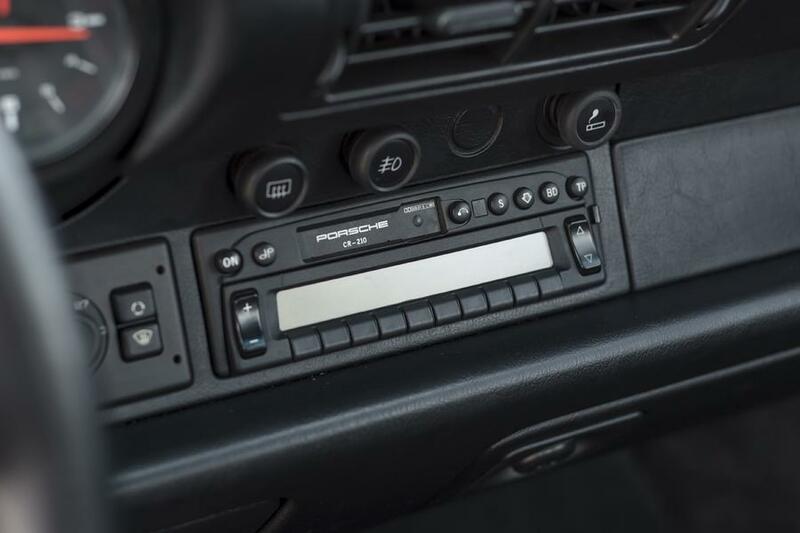 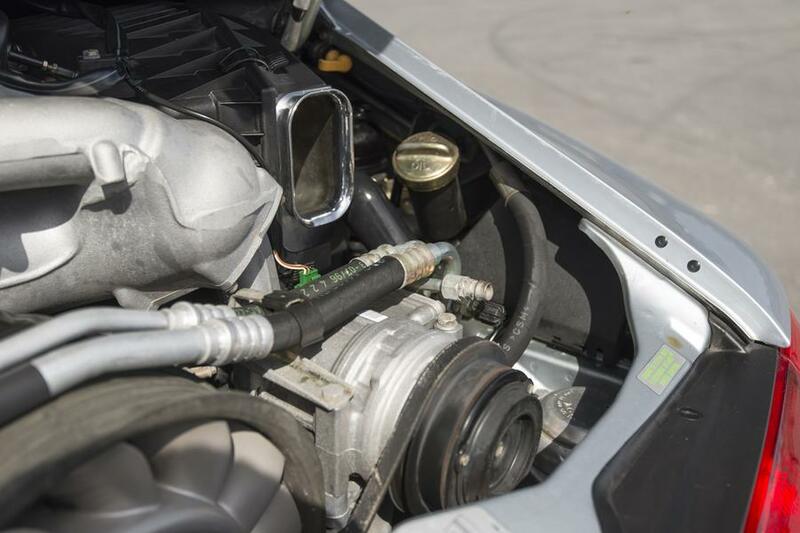 This vehicle has been meticulously maintained with all necessary services performed. 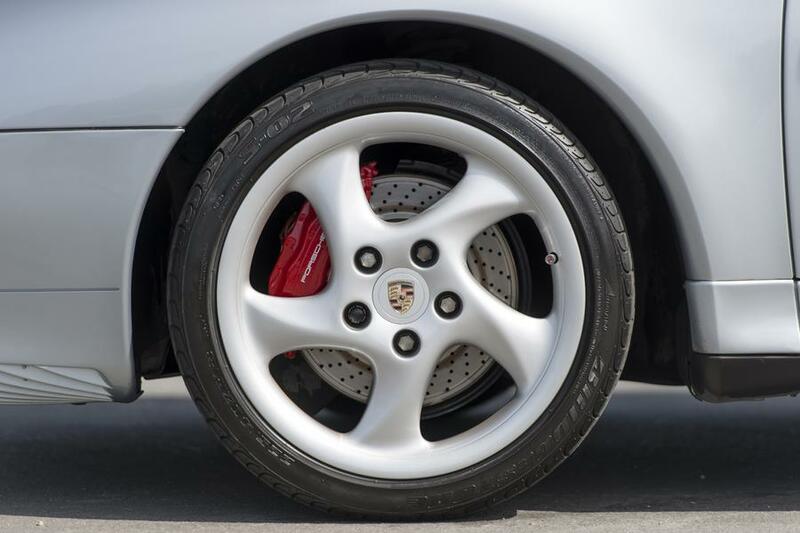 All documentation of services can be provided. 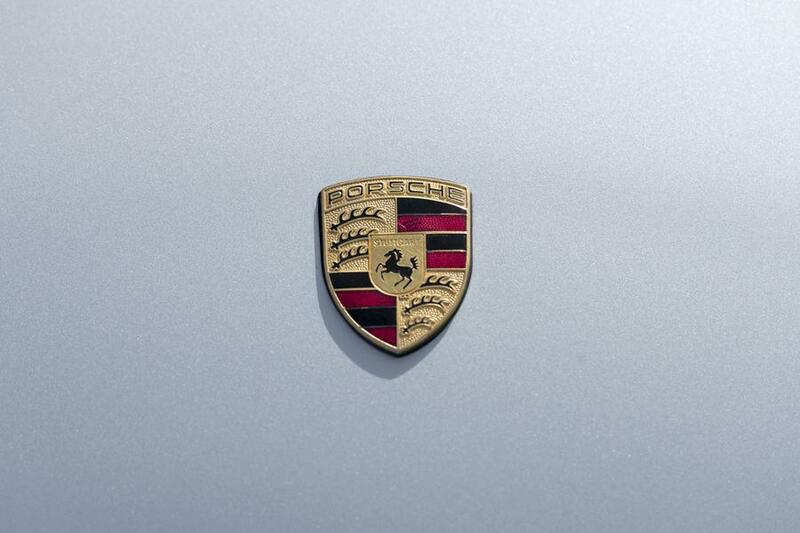 This vehicle also has a clean title and Carfax.